18 to Watch in 2018 highlights politicians, activists and operatives across the country who are poised to have a big year in 2018. From the “resistance” on the left, to the establishment and the Bannonite wing trying to remake the GOP, these are the people to watch over the next 12 months. Illinois Comptroller Susana Mendoza already scored a serious victory after beating Gov. Bruce Rauner’s hand-picked — and handsomely financed — incumbent opponent last year. But winning that election turned out to be the easy part. Mendoza left a position as Chicago’s City Clerk and stepped into a statewide office — and into the morass of one of the longest-running budget battles in the nation’s history. The Democrat was in charge of paying the bills at a time when the state ran up a $16 billion bill backlog with no budget deal and no new revenue on the horizon. In less than 12 months, the high-energy, fast-talking Mendoza transformed the comptroller’s office into a fully engaged, fearless financial counterforce that unabashedly dove into brutal daily budget battles. In fact, some would argue she turned into one of Rauner’s worst nightmares. Petite, freckled and a tough-as-nails one-time All-Midwest soccer star, Mendoza frequently acted as a foil to the Republican governor and brazenly criticized him during critical points of a budget impasse in Illinois. She held news conferences — first in English, then in Spanish — explaining in emotional terms how the budget deadlock meant her role keeping the state’s checkbook sometimes translated into making life and death decisions. During the spring legislative session, she went directly to the people in low-budget videos, where she sat behind her desk and explained in plain terms the financial repercussions of the Legislature’s or the governor’s inaction on policies. One of those videos pulled in 2.7 million views. Rauner hit back, accusing her of being the one trying to create a crisis to force a tax increase. In her most recent endeavor, Mendoza pushed for a new transparency law that would force state agencies to report up-to-date notices of their bill backlogs. Her bill passed, but the governor vetoed it. Before a recent House override attempt, Mendoza tapped the same playbook she used when combating the governor on borrowing and other issues. She toured the state, visiting local newspapers and winning editorial pressure for the new law. She worked the roll call, holding face-to-face meetings and countless personal phone calls. The result? The House voted to override the governor 112-0. Mendoza even managed to nab the backing of conservative Chicago Tribune columnist John Kass when she turned over a video she shot of a driver who tried to flee the scene of an accident in her Chicago neighborhood. Mendoza followed the driver as she recorded him, not realizing the whole time he was John “Quarters” Boyle, who twice served time in prison, including for the Hired Truck investigation, one of the largest scandals in Chicago history. 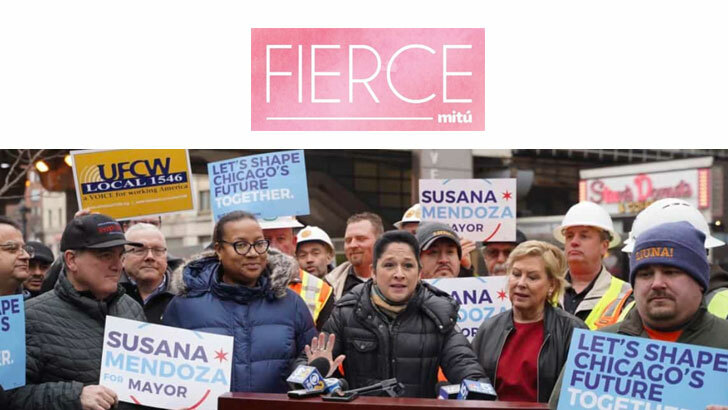 Illinois Democrats see Mendoza as the future and her name is already floated for various higher offices. But for now, Mendoza says her focus is on reelection next year (she is serving a shorter term because of a special election). Her hope is that the Legislature will pass a budget so she can move from emergency triage to deeper policy changes. View the article: Palmer, A., Sherman, J., Lippman, D., Montellaro, Z. (2017, December 7). 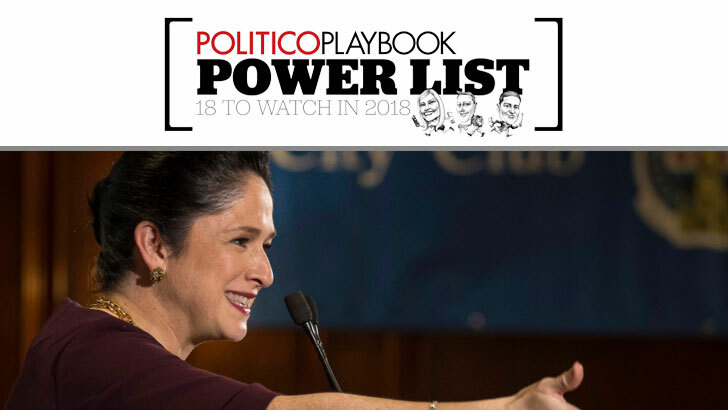 POLITICO Playbook Power List 18 to Watch in 2018. Politico. Retrieved from www.politico.com.